VideoPad Video Editor Free for Mac 6.03 Free Download - VideoPad Free Video Editing Software for Mac anyone can use. VideoPad is free movie making software for Mac. It allows you to create and edit videos of many formats including .avi, .wmv, .3gp, .wmv, .divx as well as several others. 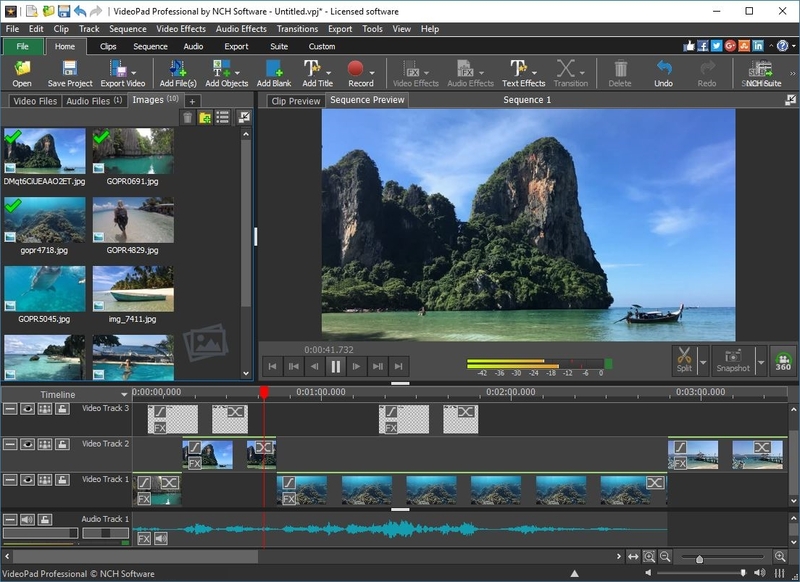 Try VideoPad for free to create a professional quality movie by combining several video clips, audio clips, and images.VideoPad provides an easy-to-use interface and smooth workflow eliminating the large learning curve of video editing. Select from a wide variety of transition effects, preview the effects in real time, and customize their duration to give your movie that professional touch. Add and mix up to 255 music tracks or add narrations to your video. Finally, burn to physical disc, save video files to your computer, or upload directly to YouTube. A professional version of VideoPad is available from NCH Software with additional supported formats and features. Statement: First, please download the orginal installation package by clicking the download link. Of course you may also download it from the publisher's website. Using VideoPad Video Editor Free for Mac crack, key, patch, serial number, registration code, keygen is illegal. The download file hosted at publisher website. We do not provide any download link points to Rapidshare, Hotfile, Depositfiles, Mediafire, Filefactory, etc. or obtained from file sharing programs such as Limewire, Kazaa, Imesh, Ares, BearShare, BitTorrent, WinMX etc. Software piracy is theft. If you like VideoPad Video Editor Free for Mac please buy it.